James Phillips is a skilled trial lawyer who has been recognized for his commercial litigation experience, as well as his aggressive defense and counsel of product manufacturers, sellers, and premises owners in product liability and construction litigation. James is the Deputy Practice Team Leader of the firmwide Product Liability and Toxic Tort team. He has successfully represented clients in complex business litigation involving business torts, breach of contract actions, and oil and gas disputes. He is trusted for his sound judgment in advising corporate clients involved in crisis situations and catastrophic matters, including product investigations and Occupational Safety and Health Administration (OSHA) investigations. James’ product liability experience includes the handling of numerous wrongful death and catastrophic injury cases stemming from product defects, chemical exposures, explosions, and cases involving heavy construction equipment and automobiles. He also helps clients mitigate product liability risks by advising on the design and implementation of product warnings and negotiating indemnity and defense clauses. 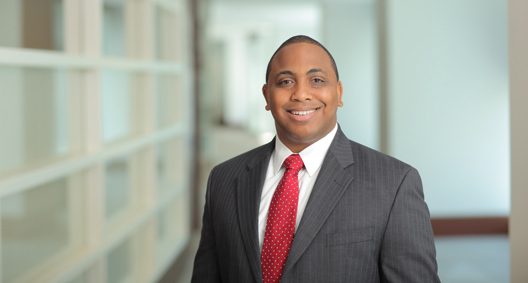 James has a seasoned background of trial experience, which he utilizes in his pursuit of results for his clients. He focuses on the details important to his clients in order to create a practical, solutions-oriented approach to their issues, while also addressing their ultimate business goals. Represented one of the world’s largest automobile manufacturer in over 300 product liability cases involving issues of contract, warranty, the Texas Deceptive Trade Practices Act, and the federal Magnuson-Moss Warranty Act. Represented client in OSHA investigation involving fatality at manufacturing facility. Arrived at client facility within hours of accident, and managed witness interviews, inspection, and document production. After issuance of citation, successfully negotiated with OSHA to reduce number of citations and penalty. Member of team representing Irving H. Picard, Securities Investor Protection Act (SIPA) Trustee for the liquidation of Bernard L. Madoff Investment Securities LLC, in connection with BakerHostetler’s role as court-appointed counsel. Represented premises owner in litigation in which over 80 liens and claims had been filed against its new $100 million-dollar production facility. Through use of unique strategy of interpleading retainage funds, obtained release of all liens and dismissal of several lawsuits in various jurisdictions without client having to pay monies in excess of the retainage. Represented one of the world’s largest construction equipment manufacturer in product cases involving issues of wrongful death, catastrophic injury, warranty, and adequacy of warning. Defended a machinery and engine manufacturing corporation in a catastrophic injury case involving alleged defects in a steel mill furnace. Tried to defense verdict. Defended a sports automobile manufacturer in a breach of warranty case alleging defects in a luxury automobile. Tried to defense verdict. Defended construction equipment manufacturer in traumatic brain injury case involving allegations of defective design, manufacture, and marketing of multipiece rim. Prior to trial, obtained full summary judgment on all Plaintiff’s claims. Defended construction equipment manufacturer in catastrophic injury case involving allegations of defective design, manufacture, and marketing of equipment’s control system. Prior to trial, obtained full summary judgment on all of Plaintiff’s claims. Advised numerous clients on implementation of product warnings and labels. Advised numerous clients on negotiation and inclusion of indemnity and defense agreements in contracts. Represented client in OSHA investigation involving fatality at distribution center. Managed witness interviews, inspection, and document production. Negotiated with OSHA and successfully avoided issuance of a citation. Defended business in a “bet the company” complex commercial dispute in federal court involving First and Fourteenth Amendment issues related to a municipality’s sign code which, if enacted, would have ruined the business’ operational model. Client favorable verdict resulted in changes to the sign code. Defended a multinational oil field service company in a dispute against intercontinental competitor in case involving issues related to breach of contract, performance obligations, contract interpretation and jurisdiction. Managed motion practice and discovery involving depositions and document production in multiple countries. Delivered closing argument at the jurisdiction hearing, and led mediation of the matter. Represented manufacturer in multiparty construction lawsuit involving one of the highest profile and costliest medical complex projects in Texas. Obtained favorable settlement for client.